Home detox kits have become very popular, especially online. They are cheap and easy to use. 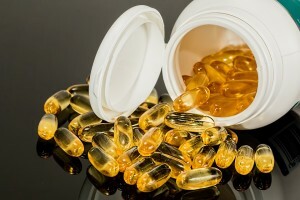 Most come in the form of simple pills that claim to clear the toxins out of your body, clean your colon, and support healthy weight loss simply by ingesting them. Home detox kits are fundamentally flawed and will not work. If your substance dependency has reached the point where detoxing is the only way you can go, seek the care of a quality rehab facility. Rehab centers are designed to combat the negative and painful experience of detoxing. In most cases, these kits are not equipped to help in any way, and they can be extremely dangerous in some instances. You need to receive personalized medication for your detoxing treatment. What are Home Detox Kits? Detox kits are often marketed as dietary pills or “colon cleansing kits” and they are mainly in the form of pills and can be accompanied by other herbs. They can also come in the form of body wrap packages as well. These kits claim to improve your digestive processes and speed up your metabolism to the point where you can quickly process the remaining substances within your system, safely and effectively. Be aware that these claims are no better at enhancing your metabolism than average green tea pills. These kits are also not a full treatment system. Rehab facilities include 24-hour surveillance by medical professionals, as well as medication prescribed for your personal problem with substance abuse. While these pills are normally harmless, taking home detox kits while going through the painful experience of withdrawal, which can sometimes be fatal, is extremely dangerous and unadvised. In addition, the rehab centers also help prepare the patient for the mental and physical rigors of withdrawal beforehand. Most likely, using these products and trying to go through the detoxification process on your own will not only prove unsuccessful but painful and dangerous as well. Before making any major decisions about using a home detox kit, please speak to a medical professional at one of the rehab centers listed on this site for additional information.